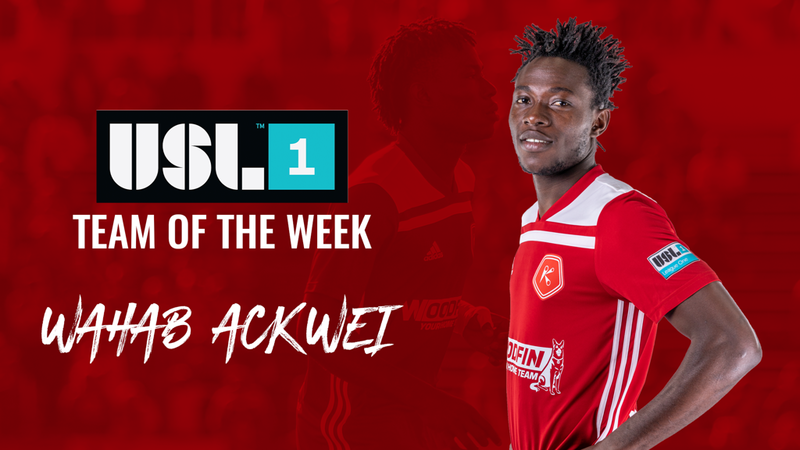 RICHMOND, Va. – (Tuesday, April 9, 2019) – USL League One announced on Tuesday that Kickers defender Wahab Ackwei was named to the Team of the Week for Week 2 of the league’s inaugural 2019 season. Ackwei recorded six clearances and recorded an 86.8 percent passing accuracy in Saturday’s 0-0 draw against South Georgia Tormenta FC. The 22 year-old Ghanian signed with the Kickers after spending the 2018 season with New York Red Bulls II in the USL Championship. The Kickers return to action this Saturday night, as they make their first road trip of the season traveling to Lansing Ignite FC for a 7:00 p.m. kickoff. This match will be available on WTVR CBS 6.3 (Comcast 206, Verizon FiOS 466) and streaming online on ESPN+. D – Wahab Ackwei, Richmond Kickers: Akwei led the Kickers defense with four interceptions and also notched six clearances and completed 66 of 76 passes in Richmond’s shutout against South Georgia.